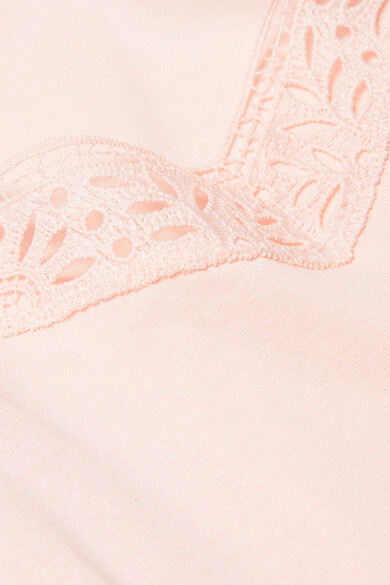 Hanro's 'Malene' camisole is made from pastel-pink cotton-jersey and has flat seams to ensure a smooth, comfortable fit. The airy crocheted lace trims highlight the flattering V-neckline while the slim satin straps can be easily adjusted. Complete the set with the matching briefs. Wear it with: Monica Vinader Necklace.